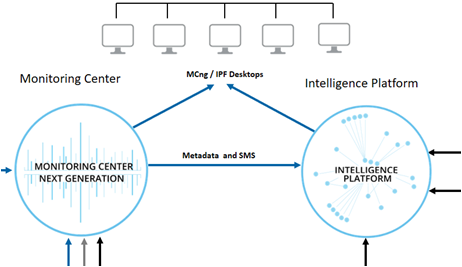 The Lawful Interception and Monitoring Concept' is the solution for the demands and requests of all networks, Law Enforcement Agencies and government agencies. The new LI system is an extremely versatile solution for collecting and analyzing data. With its help meaning can be found amongst enormous amounts of seemingly irrelevant data.